We live in accelerated times with change as the new constant. Digital technology is transforming our world, our work, and our lives in fundamental ways—with more and more people moving away from the traditional 9-to-5 desk job to live flexibly and as digital nomads. This is a key inflection point in our lives and we, at No Desk Project, are leveraging this digital revolution to lead a human revolution. 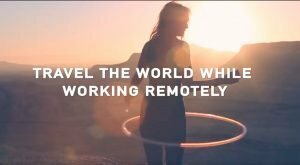 We help remote workers combine their work-lives with rich, 30-day immersive experiences around the globe that lead to transformative lifestyle changes. It’s fairly simple: live a life you don’t need a vacation from. For: remote workers or freelancers & digital nomads.